WebCanDo Blog: Sprint Wireless Broadband: Ranked #1 in reliability by EVERY major third party comparison in the past year. Sprint Wireless Broadband: Ranked #1 in reliability by EVERY major third party comparison in the past year. More and more of our clients are looking to migrate their mission critical wired data connections to Fixed-wireless solutions. The main drivers for this are flexibility, decreased time to market, and potential cost saving versus low speed landline alternatives such as frame relay circuits. One of the key selection criteria in choosing a wireless data provider is connection reliability. Wireless Data Coverage does not do much good if it is not consistent and reliable. Verizon claims that they have the most reliable wireless broadband network. Sprint claims we have the most dependable wireless broadband network. “Sounds like we are saying the same thing”. Who is truly the most dependable or reliable? The most unbiased way to find out is to look at trusted 3rd party tests based on sound scientific sampling methodologies. Far fetched? No brand name company would ever do something so obviously biased and expect the public to believe it? Huh? So Verizon employed drivers in Verizon owned test vans with Verizon owned test gear decided that Verizon has the most reliable wireless data network! Luckily, in the past year at least 6 independent reports have been released comparing the major wireless data carriers. They are all from trusted 3rd party sources such as Gizmodo, PC World, DSL Reports, Mobile Broadband Reviews, and the company behind our most Dependable Data Network Claim – Nielsen Mobile. 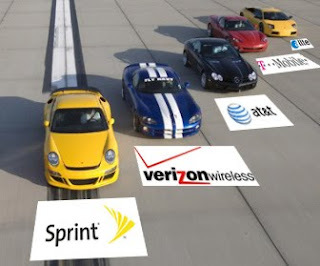 100% of these trusted 3rd party reports come to the same conclusions: Sprint has the most reliable data network! Sprint Wireless Data Ranked #1 For Coverage and Reliability. EVERY single independent study I have seen that objectively looks at wireless data services comes to the same conclusion: Sprint has the best wireless data network and the most reliable wireless data network in the country. We can proudly tell our customers: If reliability matters, choose the wireless data network found to be the most reliable by every major third party report. Choose Sprint Wireless Broadband.